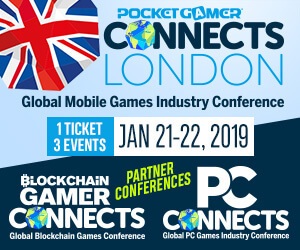 PG Connects is a business event dedicated to mobile games. It’s hosted by Pocket Gamer company and it’s one of the most popular events in the mobile games industry. 2019 will be the 5th year of PG Connects, but it already became the biggest games event in the UK. The 2019 edition of the conference will feature over 900 companies with over 2500 delegates. There will also be more than 250 speakers from 55 countries, so it’s really an international super-conference of the mobile world. Gold sponsors of this year’s PG Connects are Facebook gaming, Space Ape, Nutaku, App Annie, Mobvista, AppsFlyer, Mintegral, Play Finland and Unity. WHERE AND WHEN IS PG CONNECTS 2019? PG Connects has 3 editions throughout the year: London, San Francisco, and Helsinki, with London being the most popular and most visited. In 2019, PG Connects London will be held January 21-22 in “The Brewery” on 52 Chiswell Street. Superstar sessions – one of the hottest tracks on PG Connects London 2019 – will include the most important names and the most innovative minds of the industry in an insightful discussion about the status quo and the future. It guarantees media presence because the event is extensively covered on many platforms. It includes specialist tracks if you want to hear about key trend in a specific industry. It’s focused on game creators; the organizers aim to maintain a balance between game developers and service companies. It’s a great way to reach and approach senior-ranking decision makers, which makes it a great platform to close deal and set up business cooperations. There are also multiple pitch events where you can exhibit or hear about new games looking for investors. Anyone in the gaming ecosystem will surely find PG Connects extremely useful and good for business – from one end, developers, to service companies, to the other end, investors. If you’re in the gambling industry, whether you are a casino game developer or an online casino, you can benefit from attending PG Connects. Casino games are evergreen and one of the most popular types of games at the PG event. If you want to add latest slot games to your casino website portfolio, you can invest in newly-developed games. On the other hand, if you are a casino game developer, you can have access to thousands of potential investors and representatives of trusted online casino sites.